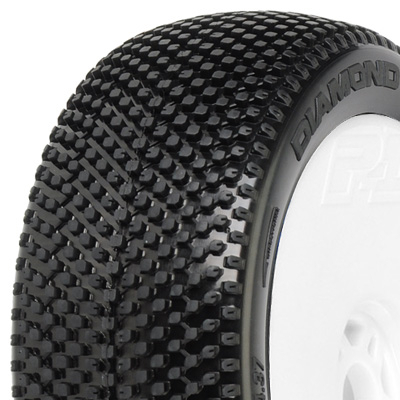 Pro-Line’s all-new Diamond Back race tyre is ready to Strike the competition. The Diamond Back replicates the look of a Snake’s Skin with progressive tread is denser in the center to provide the long wear that customersexpect, and then spreads out closer to the sidewall to cut through the dust and debris found on the track surface. The Diamond Back tyre has a fast but easy-to-drive feel that proved exceptional at the highest level of competition – The 2012 IFMAR World Championships in Buenos Aires, Argentina where Pro-Line driver Ty Tessmann used the Diamond Back tyres to record the Fastest Single Lap (43.274) of the Entire Event! The Diamond Back tyre combined with the High-Speed and Long Wear European style X Compound provides unmatched traction, drivability and durability not found in any race tyre to date. Mess with the Diamond Back and you will get the Fangs! Pro-Line makes using performance tyres easier than ever by offering the Diamond Back tyres mounted on Velocity Lightweight wheels. 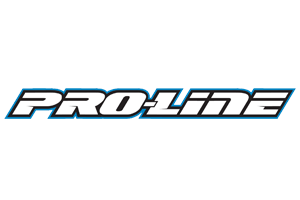 Pro-Line lives and breathes the philosophy of Racing To Bring You The Best and that is exactly what the Lightweight Velocity 1:8 Buggy wheel represents. Pro-Line engineers worked tirelessly to create the lightest possible wheel without compromising strength to give your buggy the lowest rotating mass and the fastest acceleration ever achieved. 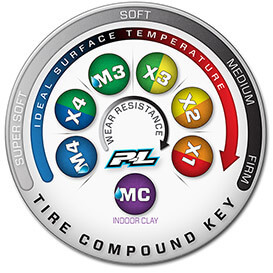 The lighter wheel also has a slightly higher level of flex which results in more traction in loose track conditions. The new Lightweight wheel is marked with Pro-Line’s latest P-L logo giving your buggy the best possible look that matches the performance. There are NO reviews of the PROLINE 'DIAMOND BACK' X4 PRE-MOUNT VELOCITY V2 WHITE WHEELS (2) yet!